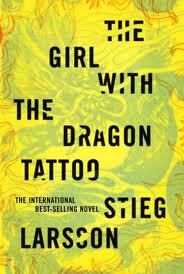 The drama surrounding the late author Stieg Larsson continues to intensify with each new revelation from Sweden. If you recall, there have been rumors swirling of an unpublished fourth book that would follow Larsson’s Millennium trilogy (The Girl With the Dragon Tattoo, The Girl Who Played With Fire, and The Girl Who Kicked the Hornet’s Nest) and continue the story of Lisbeth Salander and Mikael Blomqvist. In a new interview with CBS, Larsson’s father and brother confirmed the existence of an unpublished book–only they claim it’s the FIFTH book in the series, not the fourth. A friend of Larsson’s has previously claimed to have knowledge of a fourth book. According to the friend, “The plot is set 120 kilometers north of Sachs Harbour [Canada], at Banks Island in the month of September.” Now, with the revelation that Larsson was working on the fifth book, it’s unclear which book he planned to set in Canada. Larsson’s father and brother say they do not plan on publishing the manuscript. However, they do not even have possession of the book. Reportedly, it’s in the hands of Stieg Larsson’s partner of 32 years, Eva Gabrielsson, who is engaged in a bitter dispute with the family. Since she and Stieg were never married and he died without a will, his father and brother inherited everything (Swedish law doesn’t recognize common law marriages). She continues to fight the family for control of Larsson’s estate.